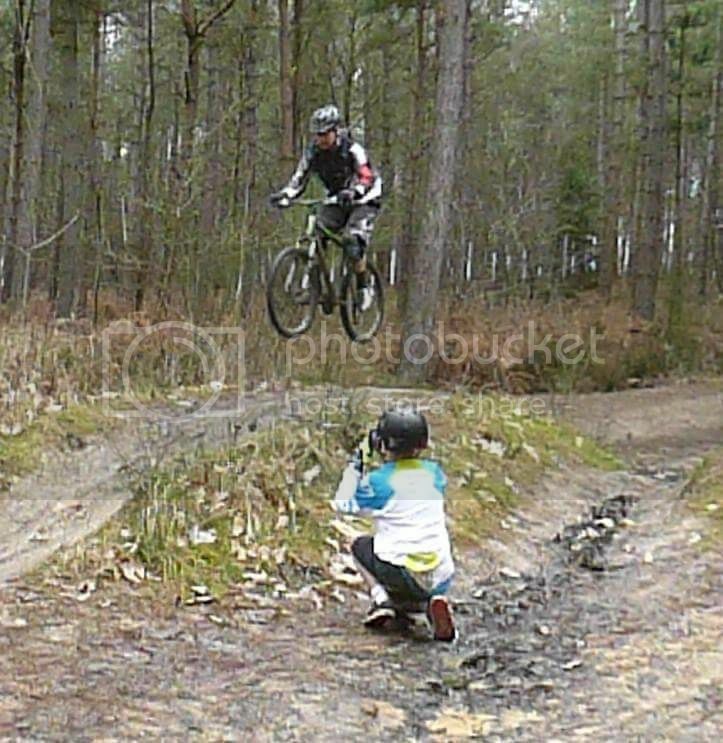 Great ride at Bedgebury today with my son & his mate, ended with a fun session on the jump track.Chuffed with the air I got on this one. Nice flying dude! Need to keep your heels down though. With toes pointed like that if skmething causes your body weight to move forward you would most likely go over the bars, heels down puts your centre of mass further back and allow you to brace against the pedals stopping you rotating forward. Ade and I were at Bedge this morning too, shame we missed you. I was a bit late there today, I only started at 12:30. And took a route that avoids all the worst of the clagg. Ah we got back to the car about that time, got there about 10:40. Another reason to keep your heels down, it'll help you keep your body weight in the right place when you pump the bike on the take off and should prevent you nose diving. That was my main problem with jumping for ages.